After falling in love with The Luminaries at the beginning of the year, I was keen to have a look at Catton’s other novel. It’s a very different beast from The Luminaries: gone is the quasi-preternatural mystery of the Hokitika goldfields, replaced by a high school gripped by a sexual scandal. Gone too is the Victorian-inspired prose, replaced by a a style that takes heavy cues from modern theatre. 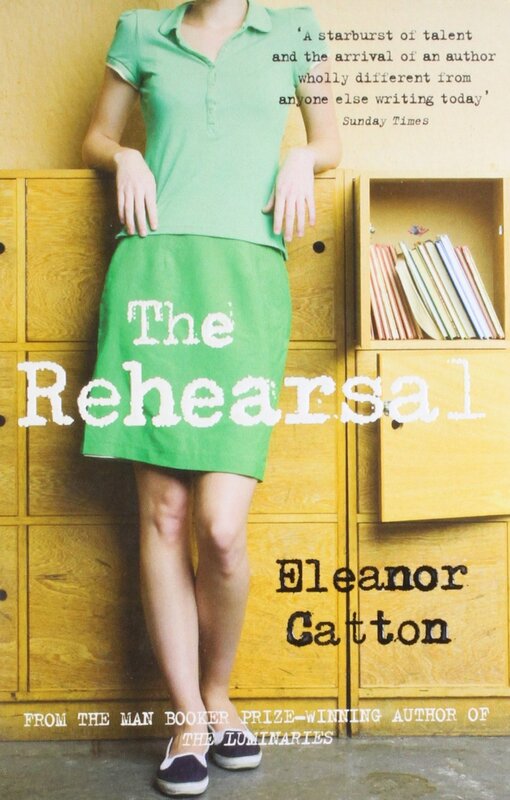 The Rehearsal splits itself between two concurrent stories – the lives of several high school students in the wake of an affair between a teacher and a student, and the lives of a group of first years at a prestigious drama school. The former explores the emotional reactions of the students to the scandal, while the latter, at first, is entirely separate – focusing instead on the unusual theatrical education the students receive. What’s interesting isn’t that the two halves come together later on in the novel, but that, from the very beginning these two separate stories form two parts of a cohesive whole. The Rehearsal is about performance. Catton uses the explicitly theatrical sections to reflect the ways in which the high school students and teachers engage in their own kinds of performances – both in the wake of the sexual scandal, and in their everyday lives. It sounds like the thesis of a saccharine young adult novel – “In a way, aren’t we all performing all the time?“. But this isn’t anything as simple as ‘pretending to be someone you’re not to be popular’ – it’s a complex matter of trying on different identities, of blurring the lines between who you are and how you act, of speaking in a certain way to have a certain impact, rather than because that’s the natural way the words come out of your mouth. Instead of the starched-collar, sitting-on-a-chair-backwards guidance councillor The Rehearsal so easily could have been, it’s instead a genuine, nuanced look at the process of growing up, and picking an identity for yourself in the series of disasters – both impossibly large and pathetically small – that make up adolescence. But while so much of the novel is centred around teenagers trying to define who they are, both internally and externally, the central roles of the saxophone teacher and the drama institute’s heads of departments shine a light on how this behaviour isn’t sloughed off at the end of adolescence. To get a bit guidance-councillor again (The Rehearsal has a tendency to sound glib when summarised because it’s a complex, nuanced work about a complex, nuanced subject; one that, if simplified, is almost inevitably trivialised) – everyone, regardless of age or position, is acting all the time, and it’s both more and less childish and dramatic than that sounds. Just as she blurs the line between what’s natural and what is affected, Catton also blurs the lines between what’s explicitly happening and what’s merely subtext. Several of the high school girls are at times described in an explicitly theatrical way – their characters as archetypes being portrayed by an actor; their actions feeling like italicised stage directions. Isolde and Julia’s fraught relationship is described in multiple ways at different times, all of them mutually exclusive if literally true. Lighting and set changes are described within some scenes as if they were played out on a stage even though they’re real events happening to real people. And the girls’ saxophone teacher sometimes says things to people’s faces that are hideously insulting, but that are met with nothing more than a nod or a hmm of agreement. How much of what The Rehearsal quotes as her speech is actual speech and how much is subtext – the meaning behind what she really says? How much of what is described is fact and how much is a lie, an act, a reflection of how theses characters, consciously or unconsciously want to be seen? To what extent is this acting – this performance of a character – separate from who these people really are, and to what extent is it actually central to who they really are? The Rehearsal doesn’t try to answer these questions, because they’re inherently vague, sticky questions that can’t be answered. But in asking them The Rehearsal explores an often overlooked part of life; one that constantly upends the reader, keeps them feeling vulnerable and unsteady right up until the very end. Not exactly what you’d describe as an inviting read, Lower’s exploration of Nazi history is incredibly tough to get through. There’s none of the stultifying denseness of text that’s so common among historical takes on this era, but the subject matter is just so deeply awful that I can’t wholly recommend it to people. I think it’s an important book, but while I’m very glad I read it, at times its depictions of Nazi atrocities were so hauntingly graphic that it tested my limits. So, take that as a warning. This isn’t a book about the whats and the wheres and the hows of genocide in the Third Reich. Instead, Hitler’s Furies focuses on something more specific: the women who helped power Hitler’s wars, and later Hitler’s genocides. Rather than simply being pitiable bystanders on the periphery of the Third Reich, Lower shows us that many German women actively took part in Nazi atrocities. They did so in various roles: as teachers and housewives and mothers occupying the eastern lebensraum. As nurses voluntarily taking part in a campaign of mass ‘euthanasia’ of the disabled and the genetically undesirable. As clerks and stenographers relaying orders and reports of mass violence. And as wives and mistresses in the east who willingly took part in massacres and random acts of violence. At times Lower takes a general view – looking at how the Nazi state operated, and how women contributed to its ability to carry out such terrible acts of violence and genocide across Europe. At other times she focuses in on the stories of individual woman fitting in the above categories of teacher, nurse, housewife, clerk. Both parts are necessary for the understanding Lower is aiming for, and both parts are equally harrowing. Early on in the book Lower writes: ‘The consensus in Holocaust and genocide studies is that the systems that make mass murder possible would not function without the broad participation of society, and yet nearly all histories of the Holocaust leave out half of those who populated that society, as if women’s history happens somewhere else.’ This book, then, is an attempt to rebalance the scales – to address a part of history that we ignored closer to the time, and that we still largely ignore. Countless women took an active role in Nazi war crimes, but when the international prosecutors moved in in the wake of Germany’s defeat almost no women even faced trial, let alone sentencing. And even now we consistently brush over women’s role in such crimes. By looking at the myriad ways women contributed to the atrocities of the Nazi state – either, in the minority as individual oppressors and killers, or, in the majority as cogs in a vast machine – Lower challenges the naive view of women as somehow incapable of participating in violence and terror. To do so isn’t to attack women; it’s to attack an outdated, patronising view of both genders as inherently distinct, with men as active participants capable of the whole spectrum of humanity, and women helpless victims and bystanders too good or too weak or too motherly to participate. 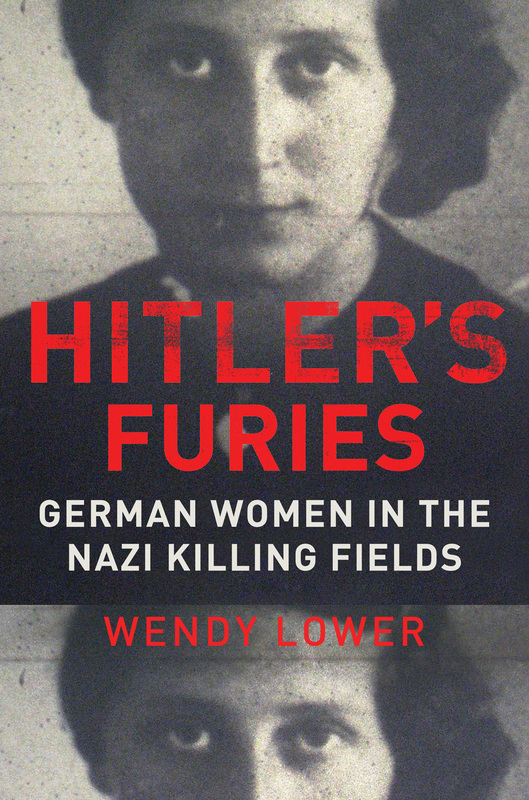 Hitler’s Furies isn’t just a well-researched, well-written piece of history. It’s an attempt – an incredibly successful one – to address a part of history, and a part of life, that we often neglect. It throws our unconscious views of gender roles back in our faces and argues that even the history we’d like to forget about is important. It won’t let the reader forget that history is fraught with the same issues we see everywhere else: who writes history? What do they write about? What questions do they ask and whom do they ask them to? We get the history we have not just because of how the past was, but also because of how the present is. This book is an important way of addressing that fact, and taking small steps to improve the way we look at both the present and the past. If nothing else, it does a wonderful job of illustrating that women’s history doesn’t happen somewhere else, even if, in some cases, we may wish that it had. I’d heard about The Left Hand of Darkness quite a few times before I decided to read it, and each time it was sold to me something like this: An envoy from a coalition of space-faring civilisations is sent to a new world to broker an alliance. This world is unique in that its inhabitants are neither male nor female – each individual can assume either male or female sexual attributes during brief reproductive periods, but is otherwise biologically and socially androgynous. 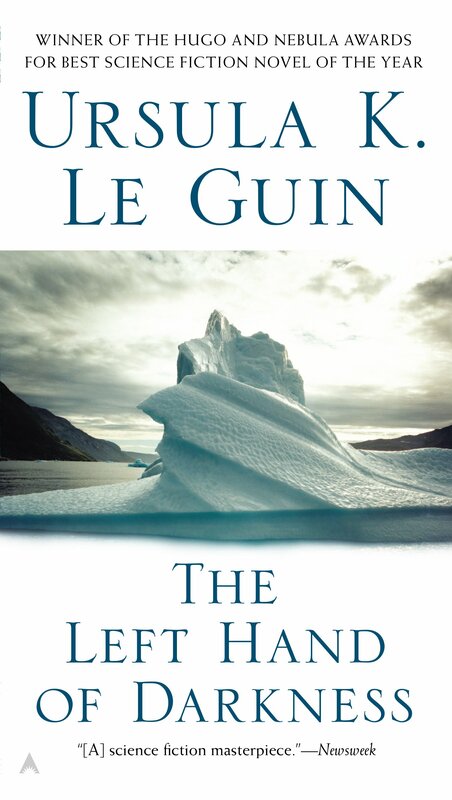 Among other things, Le Guin uses the novel to explore issues of feminism and gender, as well as the implications of a society without men or women. This description is pretty much right: it takes place on Gethen, a world without gender, and through the interaction between the Earth-born envoy and the natives of Gethen the novel explores these kinds of issues, and their implications on individuals, and on society as a whole. But the description above feels like it misses something. It makes The Left Hand of Darkness sound like classic science fiction; that is, hard science fiction that revolves almost entirely around a central thesis. But it’s not. It’s not like Flowers for Algernon; focusing in on its central issues of neurobiology and personhood to the exclusion of almost everything else (including, as it happens, the ability to include a single woman that feels like actual human beings). The Left Hand of Darkness uses its science fiction to explore ideas surrounding gender, but it’s far too nuanced and multifaceted to be interested in any one single thesis statement. And, unlike so much science fiction, at its heart it’s book that’s interested in people, rather than a book that’s interested in ideas. The Left Hand of Darkness is an exploration of gender, but it’s not just that. It’s an exploration of an interesting, thoughtfully-considered fictional world, but it’s not just that. It’s an exploration of isolation and belonging. Of clashing cultural norms. Of religion and faith. But it’s not just that. It’s a book about people, and what it’s like to be a person. A person on a planet of near-perpetual winter light-years from Earth, but a person all the same. One of the aspects of the novel that most resonated with me was the most is the way it explores the protagonist’s position as a visitor to a new world; a stranger in a strange land. As someone who’s spent the last year living in a foreign country on the other side of the planet I found much to recognise. Japan is hardly as different to the United Kingdom as Gethen is to Earth, but it’s pretty bloody different all the same, and I’ve spent a huge proportion of my waking life this year feeling somehow unstuck. Learning a language so vastly different to my own, so wrapped up in history and customs that are completely alien to me. Attempting to navigate an unfamiliar culture that’s different in ways you often can’t see until you know exactly what you’re looking for. It’s been a wonderful experience, but it’s hard not to feel isolated, or alone, or unstuck at times. The Left Hand of Darkness captures this so incredibly well. It captures the feeling of isolation, and those moments during a conversation where you look down and can almost see the vast gulf of experience and understanding separating you from the other side. It captures the awful, draining coldness that runs through you when you make a mistake – either big or small – because you simply didn’t know. It captures the way two people can come together with the best intentions – with the aim of understanding – but end up wholly alienating each other because of miscommunication borne out of a lifetime of differences. But even moreso, it captures the feeling of a connection being made; of slowly starting to feel less and less isolated. The Left Hand of Darkness starts with a vague sense of alienation, reaches a terrible point where the protagonist is utterly adrift and alone, and then finds cause for hope. It shows that connection, and even closeness, is possible in the face of such vast distances. And all the while these ideas are explored through the logical, compelling interaction of beautifully-realised characters. It never shouts “This is the point of the novel” at you; instead it’s driven by the thoughts and the flaws and the cultural makeup of its inhabitants. It’s a science fiction about people, not just ideas, and it feels all the more profound and true because of it. [So that was my four part review of my year in books. I hope you enjoyed it, and/or got some good recommendations out of it. I’m going to have a rest now. This entry was posted in Books and tagged 2014 - The Year in Books, Eleanor Catton, Hitler's Furies: German Women in the Nazi Killing Fields, The Left Hand of Darkness, The Rehearsal, The Year in Books, Ursula K. Le Guin, Wendy Lower. Bookmark the permalink.